Combining Thyme, Orange, Clove and Frankincense – oils that are known to contain powerful antioxidant properties – Agewise is targeted at those looking to get the most out of their golden years. 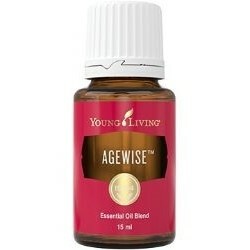 Agewise is also known as Longevity Essential Oil in the US. Diffuse or inhale directly. You can also dilute with V-6 Vegetable Oil Complex and apply on desired spots topically.